Working in Antarctica, even in remote places distant from the station, means operating in a hostile environment and every apparently simple task can turn into a particularly demanding job, at times not safe. Low temperatures forced to the use of technical equipment which allows exposure to cold and wind for several hours. Hands, feet and face are parts most affected by low temperatures; however, wearing bulky gloves can limit manual skills and make the time longer to perform simple operations. Often operators stop their work to warm up a little! With wind temperature are perceived as lower; moreover strong winds can lift and wipe out the work equipment. This aspect should not be ignored, indeed over the years few accidents, fortunately mild, happened because of lifting objects. Being isolated far from the Base means being able to manage any kind of situation therefore our toolboxes contain everything useful for instrument repair and maintenance. It could happen to lack for something but going back would be too expensive. In these cases the creativity and the experience play a key role to solve the unexpected. 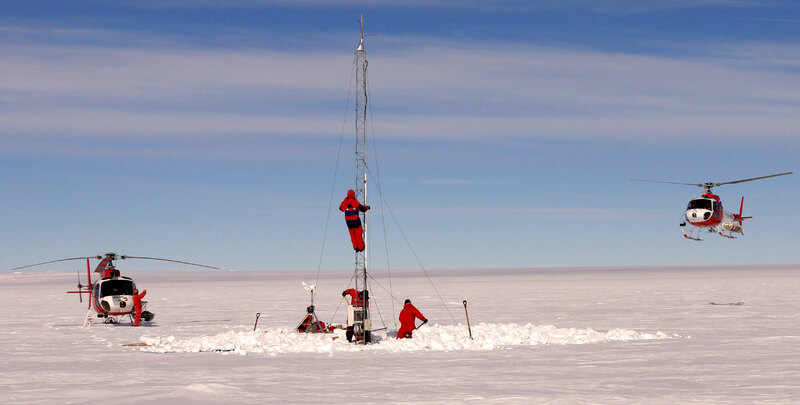 The image shows lifting operations of Modesta station at the Priestley Glacier, for clearing it from about a meter of snow. Some AWSs are 10 meters high and wind sensors are mounted on the top of the trellis. 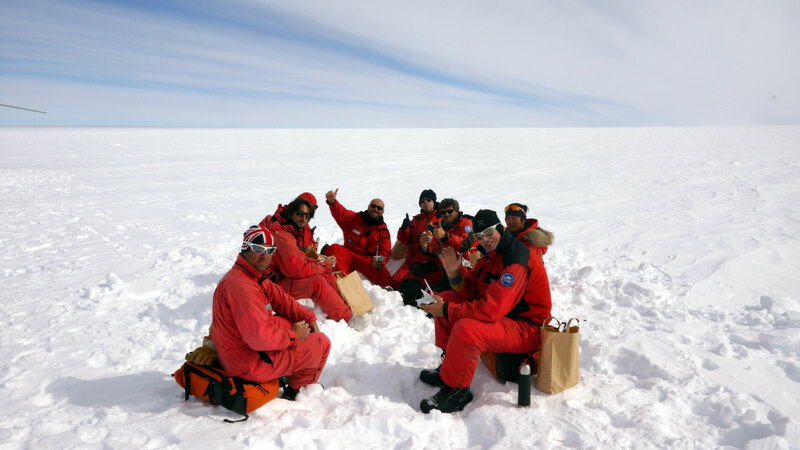 A break during working time on the Plateau.